The increasingly powerful capacities and lower costs of ICTs, as well as the freely accesible digital content have made the international community to pool its efforts in achieving the access to inclusive and equitable quality education by exploiting the uses of digital devices and applications. In keeping with Sustainable Development Goal 4, the Prize, established in 2005, recognizes innovative approaches in leveraging new technologies to enable this expansion. The 2018 edition has been launched under the theme “The use of innovative information and communication Technologies to ensure education for the most vulnerable groups”. The prizewinners will be chosen based on the recommendations of an international jury by December 2018. This jury, selected by its geographical and technical diversity, will analyze individually and collectively all the applications. 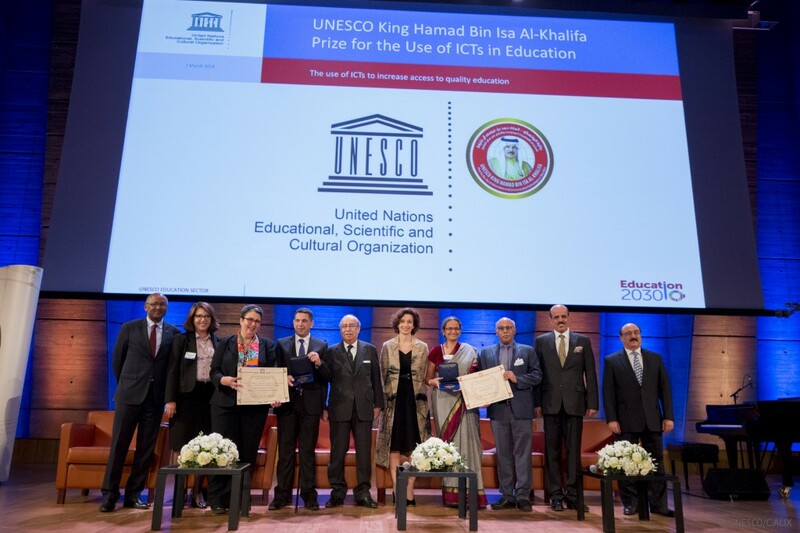 They will select two best projects and each prizewinner will receive a diploma, USD 25.000 and aknowledgement during a ceremony at UNESCO Headquarters in Paris, that will take place on March 2019. Special attention will be given to project that use integrated solutions blending commonly used technology with frontier technology, such as intelligent learning management systems. Last edition was focused on the use of ICTs to increase access to quality education and lifelong learning opportunities, also related with Sustainable Development Goal 4. The winners, chosen because the expression of the expected values and principles, were Connected Learning Iniciative (CLIx) from India and Programme de Généralisation des Technologies de l’Information et de la Communication pour l’Enseignement (GENIE) from Morocco. Daniel Burgos, vice-rector of Universidad Internacional de La Rioja (UNIR) and UNESCO Chair on eLearning, was vice-chair of the international jury of this edition. 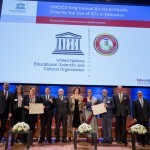 As Burgos said, “this Prize supports, encourages, fosters and nurtures the very access and the future of Education and the impact into the Society”.